The full council is expected to take up the issue at its Monday, June 4, meeting, but it appears the plan is a done deal unless one of the three who spoke highly favorably about the project reverses course. The pivotal piece came together when Flaherty & Collins Properties owners and their top lawyer agreed they would put in writing that they would continue to own the property after it is constructed. CEO David Flaherty, half owner of Flaherty & Collins Properties, assured the three councilman, Mayor Kelly Mollaun, and city redevelopment members that the company primarily keeps its properties, and has signed similar pacts in other cities where it has constructed contemporary units. Councilmen Paul Seymour Jr., Mel Davis and Randy Abner, along with Mollaun and redevelopment commission member Dennis Hutchins, pressed for assurance the company’s practice is not to build and scoot. Councilmen Aaron Cook and Tony Abbott were not present. The apartments would run between $800 and $1,100 monthly, and city officials expect the complex to attract retirees and young professionals from Ohio and Kentucky, as well as Indiana. In addition, the numbers show the city would garner about $300,000 annually in property taxes, $48,000 in income taxes, $70,000 in sewer revenue and $162,000 in electric revenue, based on a report from Reedy Financial Group P.C. The combined annual impact to the city’s coffers would be about $672,000. Over 10 years, $6,800,000, and $13,5000 over 20 years. The overall impact to the city’s economy could be as high as $55 million over five years, said Flaherty & Collins president Jerry Collins. “It was just me doing some rough math. The last one we did was $55 million over the first five years and Elkhart was, I want to say, $32 million,” he said. The group kept talking about fifty/fifty, which actually represents to distinct conversations. The first refers to the cost split between the city and company. Projected to cost abut $30,000 million, each would put up $15 million. The city intends to bond its portion, but at this time has no bond rating, due to casino tax income over the past 20 years. 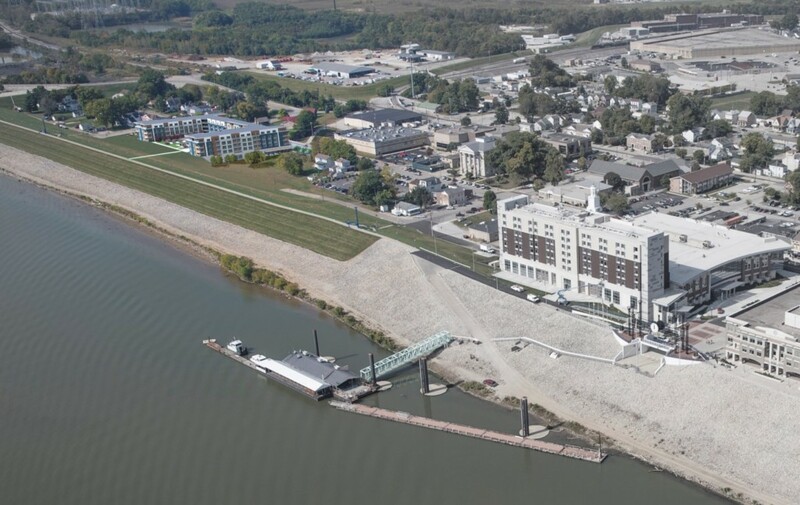 Specifically, the city would pay $9 million for the complex, and an additional $5.5 million for the “podium” on which it would be constructed to provide a river view. The 50/50 is similar to other F&C Hoosier projects. 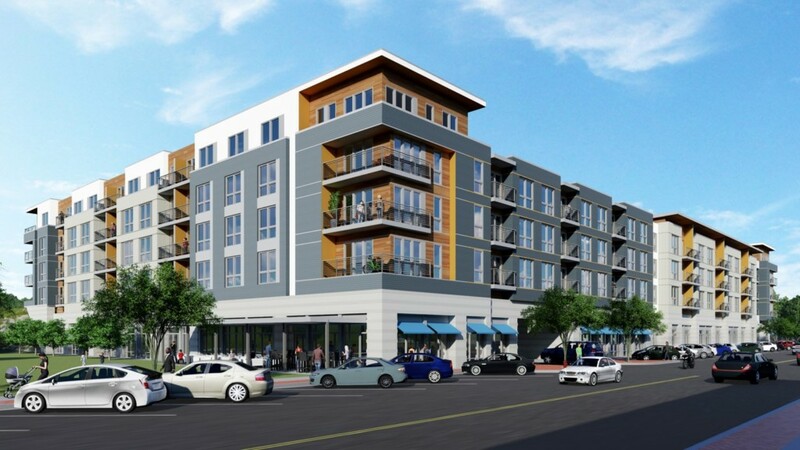 The other fifty/fifty refers to the apartment complex, which would contain 75 one-bedroom units and 75 two bedroom units. The partners said the complex is anticipated to draw about 75 percent young working professionals and 25 percent retirees. F&C manages 116 properties throughout the nation, mostly in the Midwest and South.